It is my BIG epic mission to help you rock your music career! My team and I have put together the perfect ARTIST TOOLKIT to help you drive your career to new heights. 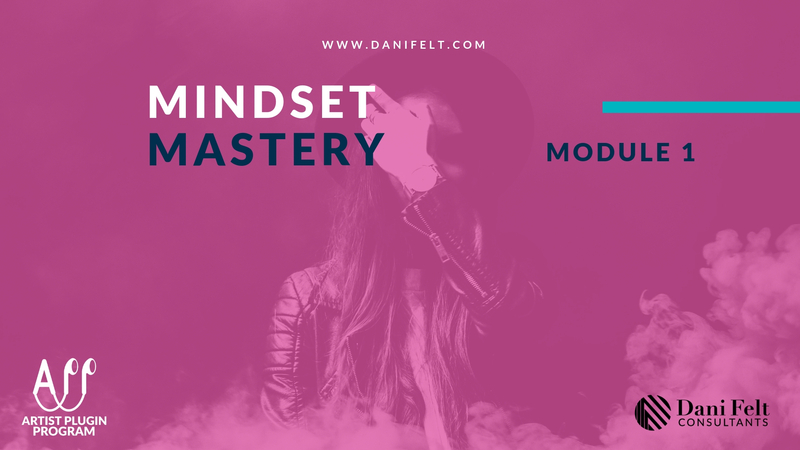 Whether you have experience, or you are just getting started, this course will help empower your potential! I know being in the music industry isn't easy. In fact, as a Musician and Artist myself, I have experienced this first hand. Unfortunately, I have come across too many amazing artists that had to give up their dreams because they just couldn't create the foundation that creates sustainability in their career. I know it can be overwhelming and I understand, I used to feel the same way... But what if I told you there is an easier path through all this confusion. That's why I created the Artist Plugin Program, so you can have a supportive guide as you take each step in your Artist Development journey, but all at your own pace. Imagine how good it will feel to know that the actions you are taking have been used before and are PROVEN to work! If you are on this page I know you are ready. So what are you waiting for! You will receive the exact steps to be more conscious of your core beliefs and self-talk. Shift your mindset from negative to positive in order to attract the BEST possible outcome in your career. Learn a step-to-step process to dominating your digital marketing, website, and social media game. 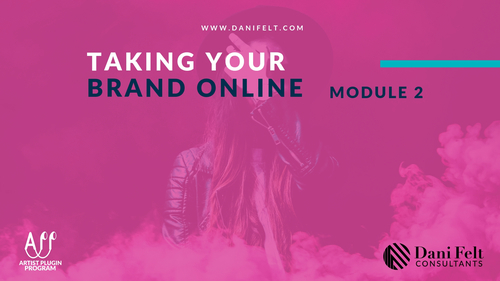 This module educates you on how to connect with your audience on a whole new level! 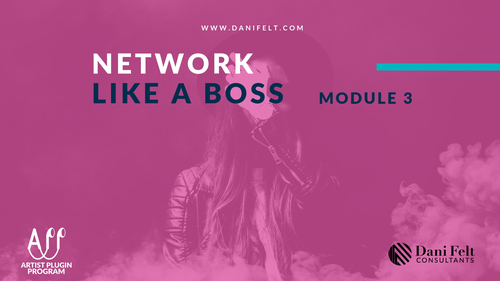 Get access to the exact tips and tricks Dani used to network like a boss! 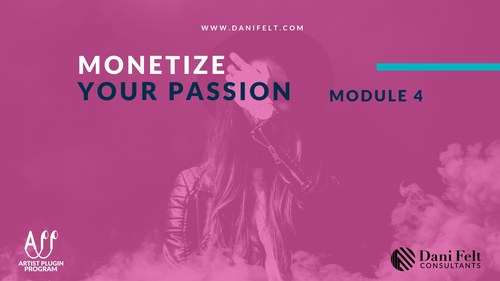 This module alone can boost your career and give you THE most important tool to be successful in the music industry. 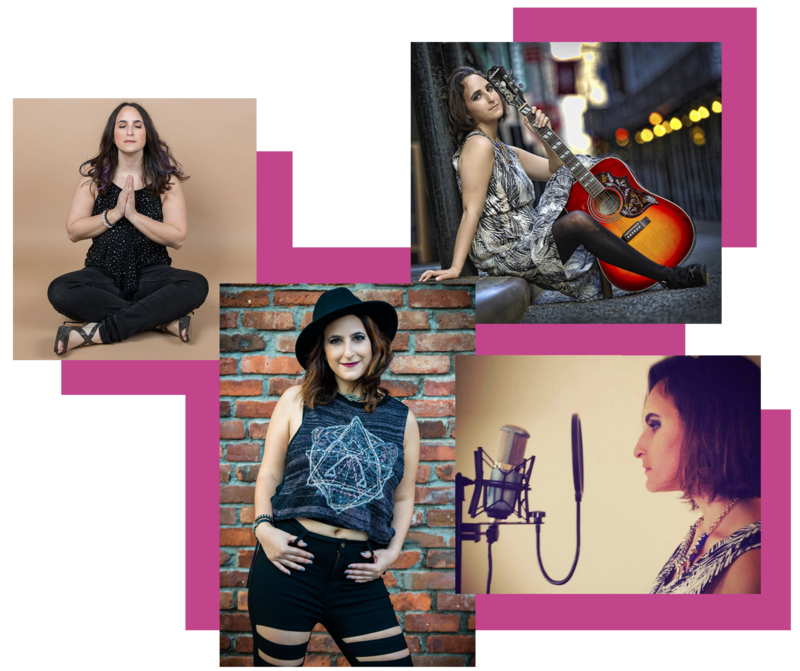 Discover how to make money as a musician using social media, touring and songwriting/publishing. Become a social media influencer and connect with fans in a lasting way!